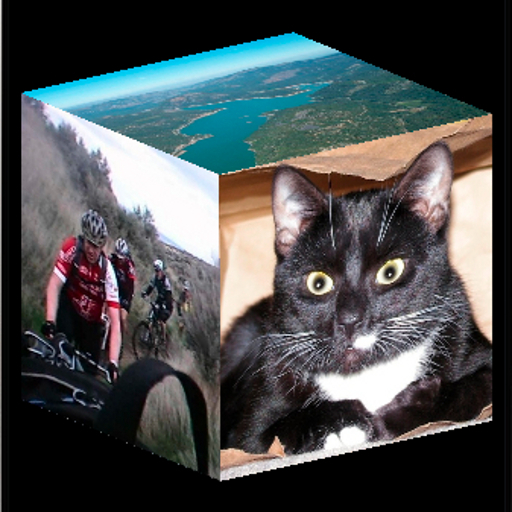 Interactive 3D virtual photo cube displays your favorite photos. Touch the cube to rotate, zoom, or spin it with intuitive gestures. Create cube images from photos you've stored on your device, or acquire new ones directly from the camera. Watch the video to see some cool things you can do!